Having both hands on the wheel is a critical element for maximum car control. In the amount of time it takes to shift, races can be lost. 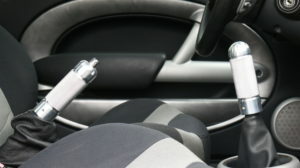 Moving the shift knob closer to the steering wheel reduces shift time and increases car control. The Billy Club shift does this by increasing the height of the knob in a functional, clean, and weighted design. Knurled for grip when needed. Height is adjustable using set screws depending on riders feel. Unlike most shift knobs on the market, ours are far from “universal”. Universal usually means that it will nearly fit some applications and will not fit the rest. All our shift knobs are CNC machined to fit the mini cooper, eliminating the concern of missing a gear due to loose or detached shift knob. 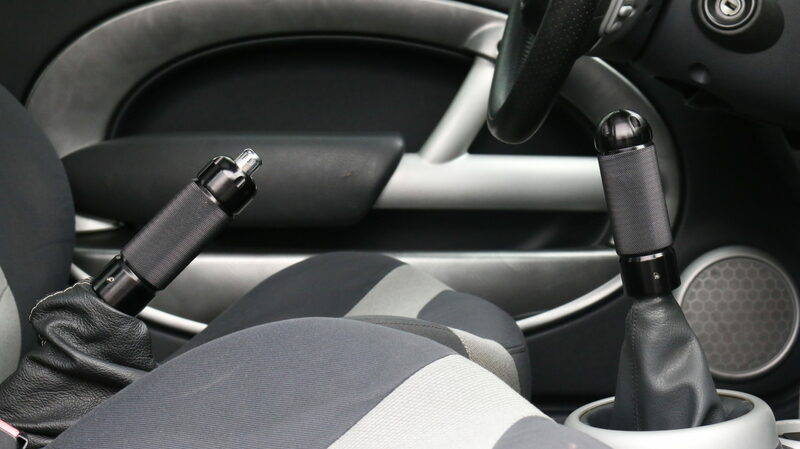 There is no need to cut, drill, or modify your factory shift lever to install. All of our shift knobs are the ergonomically correct and weighted at 8.8 oz. Made right here in the USA by mini cooper owners for owners.